Le Groupe Sundware “Mécasolaire Inc” is a North-American company which is specialist in manufacturing solar thermal collectors, mainly the solar air collectors and solar hot water collectors. Le Groupe Sundware always manages to develop high quality products, thanks to its experienced team and the loads of efforts in Research and development in addition to our international partners support. its not a secret that our success comes from the unique production where it create durable and efficient Solar thermal collectors. As prime manufacturer, We sell through distribution channels only, looking foreword to cover the United States and North American market. We work only as B2B “ business to business” and we refer any individual client to the distributor closest to his region. Our wholesalers and dealers enjoy the high quality of the durable products, and the competitive prices they got, in addition to the technical sales support whenever needed.We work hard to keep our customers always satisfied and this is our successful Key of growth and credibility. 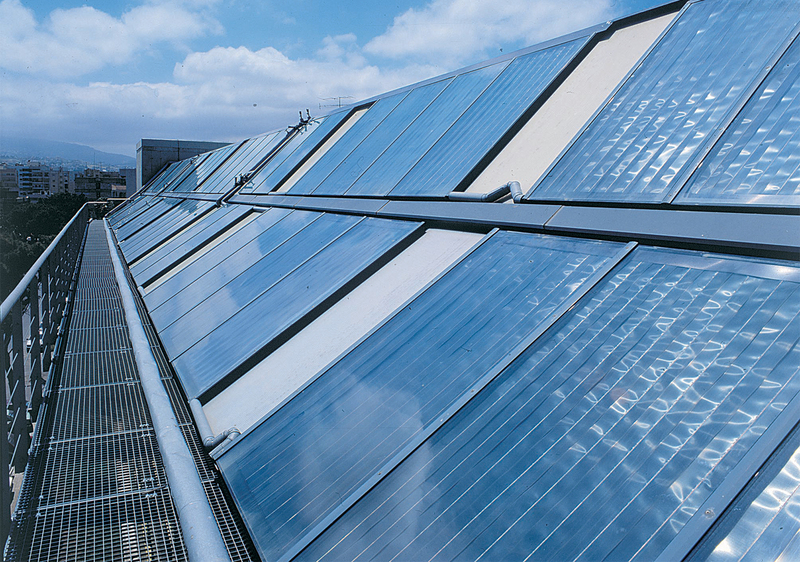 MANUFACURING SOLAR-AIR COLLECTORS IN NORTH AMERICA. OEM MANUFACTURING FOR SOLAR HOT WATER COLLECTORS. Sundware solar collectors are manufactured in safe and secure environment, ISO certified factories, accompanied with latest technology robotic equipments and semi-automatic machines from cutting, bending, welding and fixing. Within the last 35 years, it’s proud to say that the manufacturer’s products are installed worldwide in 5 continents and more than 50 countries. Sundware thermal collectors are SRCC OG-100 approved for the North- American market, in addition to Solar-key mark certificate for the European markets. Sundware Solar Air Collectors are used ideally to heat indoor spaces in long winter seasons. Sundware Solar air is energy free, and depends on Sun to convert sun radiation into heating the circulated air. Such collectors are very popular in North America where the heating is required for 7-8 months per year. Selecting the proper size of solar air collectors can guarantee the maximum performance of the system and ideal time to heat the required space. Be the first to hear about new products and the latest news from Sundware.